1. 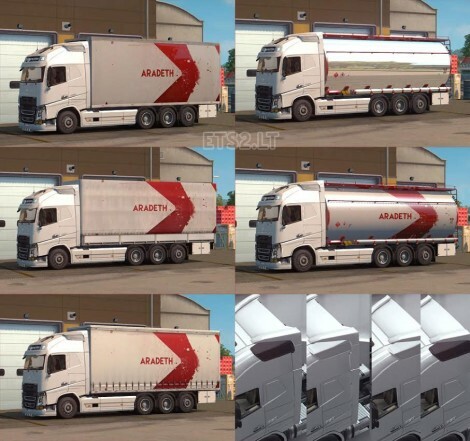 All Cargo boxes, chassis, tandem sideskirts, exhaust pipes and accessories from Flemming V’s BDF Tandem Truck Pack. 2. A standalone custom long coolliner tandem. It has slots for accessories like taillights, mudflaps from ohaha. Also it has a customizable licence plate. 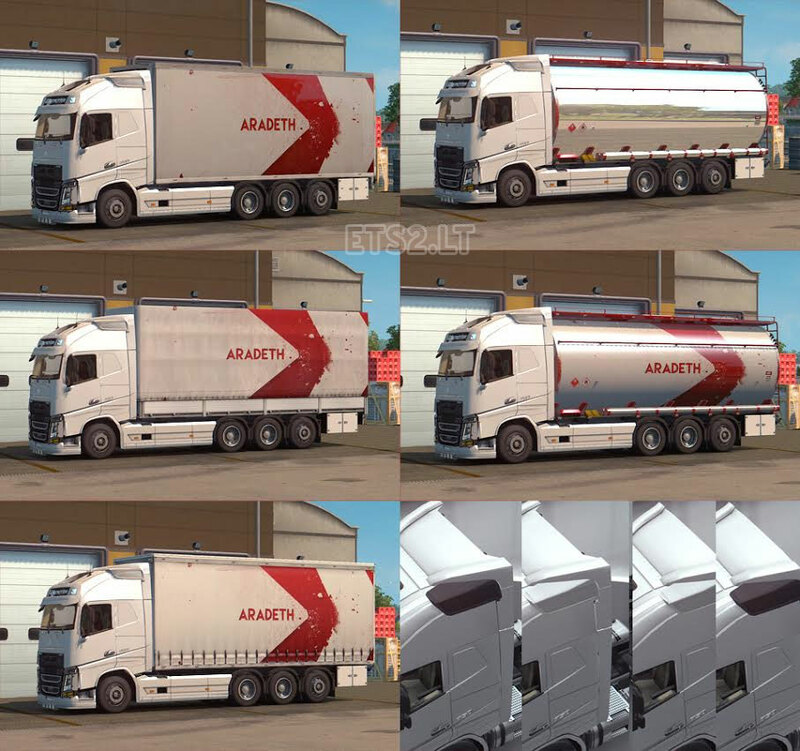 or Capital’s “Trailer Mods” for the tandem trailers. 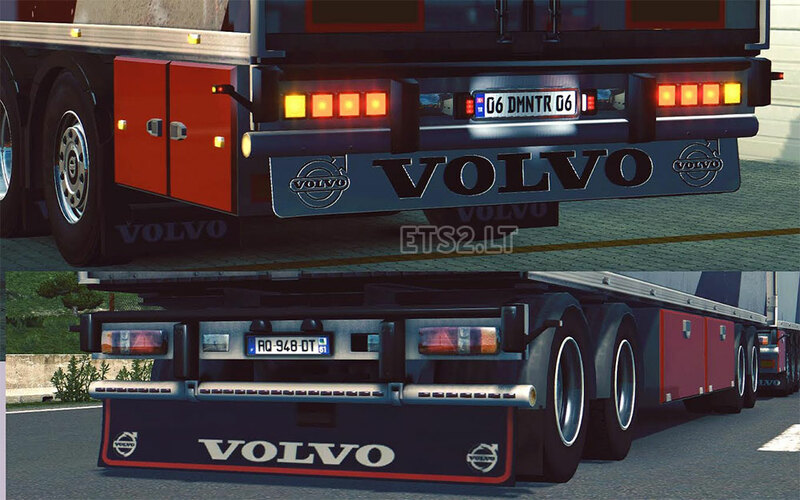 Bahsettiğin şeyler ohaha’nın Volvo FH 2013 modunda mevcut. Zaten bu tandem modunu kullanabilmen için de bahsettiğim Volvo modunu indirmelisin. Or download the mod and just spend your precious 5 minutes!! And see it with your eyes. У прицепа передок не ворочается? Everything works perfectly. Disable your other mods, activate ohaha’s Volvo and this tandem mod only. Give this mod a higher priority. Все работает отлично. Отключить свои других модов, включите ohaha Volvo и этот тандем MOD только. Дайте этот мод более высокий приоритет. 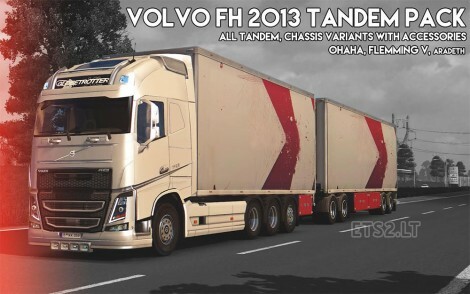 Hey,can anyone send me a link to the fh 2013 download please? Search for FH 2013 Ohaha and you’l find it!